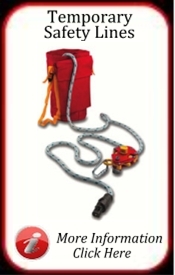 Fall Protection, Fall Arrest and Fall Restraint Equipment is also known as: Working at Height Equipment, Safety at Heights Equipment, Height Safety Gear, Fall Protection Gear, Safety at Heights, Fall Arrest Protection Equipment, Fall Arrest Systems, Fall Protection Systems, Safety at Height Systems, Height Safety Systems. Liftsafe Solutions Ltd are Fall Protection, Fall Arrest and Fall Restraint Equipment Suppliers based in Lincolnshire UK. 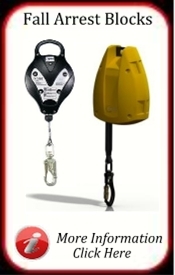 Providing Lifting Equipment, Fall Arrest and Fall Restraint Equipment from some of the leading manufacturers within the industry offering ranges from IKAR, RidgeGear and G Force. 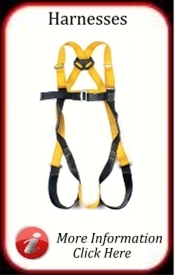 Liftsafe Solutions Ltd standard range of Fall Arrest and Fall Restraint Equipment is available to buy online direct or contact our sales team for details on a full range of Fall Arrest and Fall Restraint Equipment products, Specialist Height Safety Systems. As a supplier of Fall Protection, Fall Arrest and Fall Restraint Equipment we stride to ensure that all our Fall Protection, Fall Arrest and Fall Restraint Equipment is supplied the relevant documentation to meet with the latest legislation. 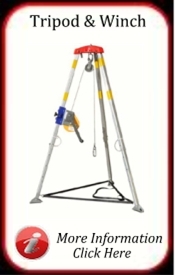 All Fall Protection, Fall Arrest and Fall Restraint Equipment is always clearly marked with its identification number and tracability markings. Users of Fall Protection, Fall Arrest and Fall Restraint Equipment need to comply with the Working at Height Regulations 2005 (as ammended). 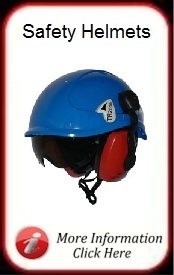 A breif guide to the Working at Heights Regulations 2005 (as ammended) is available from the HSE. Liftsafe Solutions Ltd provide Fall Protection, Fall Arrest and Fall Restraint Equipment Inspection and Examinations, contact us now for details to ensure your equipment is inspected incompliance to the LOLER Regulations. It is essential that when working at height the correct type of Fall Protection, Fall Arrest and Fall Restraint Equipment is used. 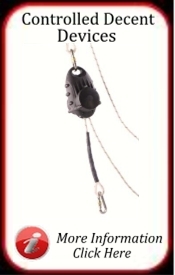 It is always recommended that where working at heights can't be avoided Fall Restraint Equipment should be your first choice of safety equipment for fall protection. 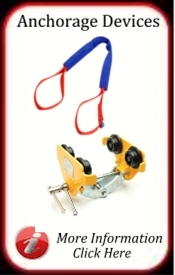 Fall Restraint Equipment is used to prevent the user from being able to fall by restraining them within a safe distance of an edge. 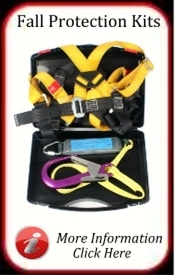 Where it is not possible to restrain the user from an edge Fall Arrest Equipment will need to be used. 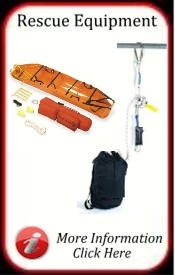 Fall Arrest Equipment protects the user when falling from hitting the surface below and controls the forces applied to the body during fall. 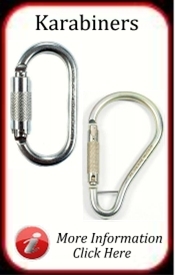 Always ensure a Rescue Plan is in place when using Fall Arrest Equipment or when Working at Heights as the user only has limited time in which to be rescued. 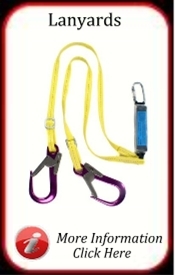 If you are unsure what type of Fall Protection Equipment you need whether it be Fall Restraint Equipment, Fall Arrest Equipment or Rescue Equipment please do not hesitate in contact us for further assistance, We can offer expert advise in choosing the correct type of Safety Equipment for Fall Protection.